A pumpkin enzyme peel: Laura applied a peel by SIRCUIT early on in my treatment. She said it leaves skin with a healthy glow (please and thanks!). The jade roller: I’ve seen these blogged about quite a bit, but had never experienced one. THE BEST! Laura used a chilled jade roller to calm and soothe my skin after she’d performed extractions. They’re supposed to assist with drainage and de-puffing. The meditation: Laura’s services include an optional meditation at the end (obviously I was in: hello, Unsullied hippie child). It was such a nice way to bring her treatment to a conclusion (and stay in the hyper-relaxed state she put me in for just a little bit longer). After this li’l revolutionary procedure, I turned to Laura for a regimen recommendation. 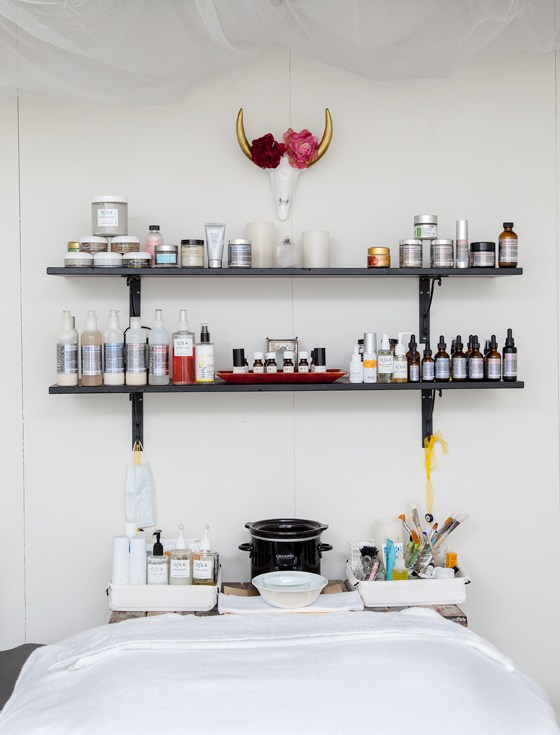 She has an impressive stash of skincare products in her studio, and I’m a sucker for new brands! SIRCUIT X-Trap+ Daily Gentle Face Wash: Super gentle, liquid face wash. This product ranks a 3 (moderate hazard) on the Environmental Working Group’s (EWG) Skin Deep database, but I wasn’t too put off by the ingredient list. Just sodium benzoate (a preservative) and SD (specially denatured) alcohol were flags for me, but even those aren’t so bad. SIRCUIT Fixzit+ Blemish Drying Serum: Laura advised me to use this blemish serum not as a spot treatment, but as an allover treatment once daily, before bed. I apply a thin layer to any problem areas. Much to my surprise, it doesn’t sting or aggravate my skin AT ALL. It’s so gentle. BUT…this product ranks 5 on EWG because it contains retinol, or vitamin A. There are many studies and opinions on retinol: EWG states that it can speed the development of skin tumors and legions in the presence of sunlight. You should of course be aware/careful of this, but it’s not all bad, and is supposed to do amazing things for the skin (speeding cell turnover and improving skin condition), which is why you see it in so, so many products these days. I had never encountered SIRCUIT products before visiting Laura’s studio. Since leaving Laura’s studio and using these two SIRCUIT products for a month-ish, my skin has done a complete 180. If you’re struggling with oily skin and acne, and are comfortable with the ingredients in each of these products, I would highly, high, highly recommend you pick them up! If they can save you the year+ it took me to find a regimen that works, well, then, we’re gettin’ somewhere! 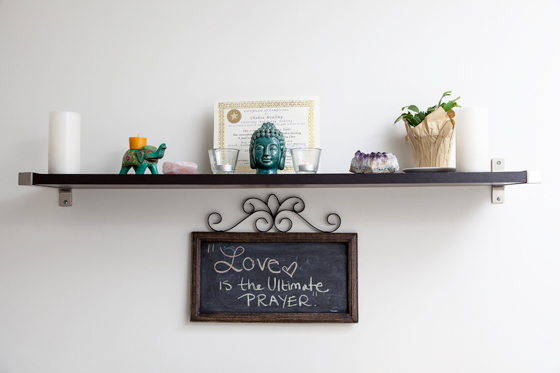 Laura’s 60-minute, customized organic facial runs $145. Check out her full assortment of treatments. Check back tomorrow for a seriously awesome Q&A with Laura, and a special deal so you can go get a customized facial of your own. **Green Revolution Skin Studio generously offered me a 60-minute facial for review. Tips on service and products were paid for by Unsullied. Check out our policy on product/service reviews.